Coach HC6120 is a Full Rim frame for Women, which is made of Acetate. Coach HC6120 Eyeglasses come with a cleaning cloth and protective carrying case. I have been wearing glasses since I was five years old- needless to say I've tried every style under the sun. 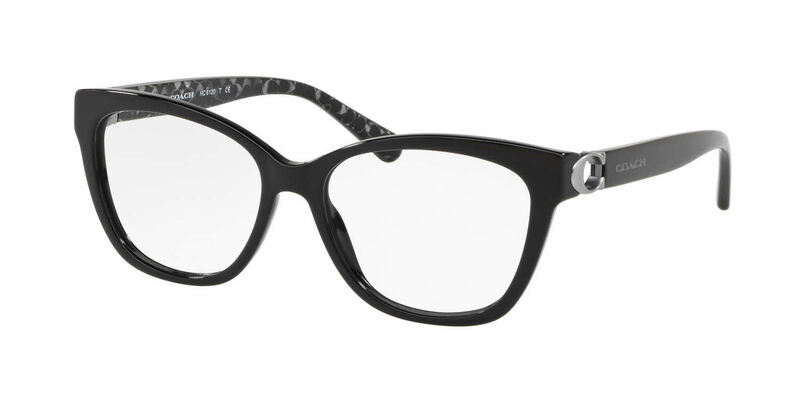 These frames are universally flattering (I have a rounder face, larger eyes, wide nose), and such a good price. I have officially abandoned Lenscrafters and will definitely be coming back for my next pair. I recently upgraded my frames and decided to try Coach brand. Best decision ever made. Everyone just love these and they fit perfectly. The prescription sunglasses were even better than I had imagined. One minor flaw with the eyeglasses, but nothing worth mentioning. The turn around time was great and the assistance provided during the wait period was very professional. I will definitely be recommending Frames Direct to all of my colleagues.